UK. We wish you all the luck and are with you all the way ! British-born rock singer Paul Rodgers, who lives in White Rick, fronted bands such as Free, Bad Company, the Firm and Queen (post-Freddie Mercury). When: Sunday, 7: 30 p.m. Deep down, he's always been a soul man. This year Paul Rodgers - long admired as one of rock 'n' roll's most righteous belters - intends to seal the deal. The 62-year-old performs at the Royal Theatre Sunday with his backup band. Rodgers earned international fame as frontman for such bands as Free, Bad Company, The Firm and - more recently - Queen (filling in for the late Freddie Mercury). The British-born singer, who lives in White Rock, says he's in the midst of doing a Stax-style soul album with guitarist Steve Cropper. Recording such a disc is a long-held ambition, Rodgers said. Cropper became legendary as lead guitarist for Booker T and the MGs. They were house band for Stax Records, the storied Memphis label that produced such artists as Otis Redding, Wilson Pickett, Sam and Dave, and Eddie Floyd. Recently, through a mutual friend, Cropper asked Rodgers if he would sing on a demo song. That led to the pair cowriting five original tunes, said Cynthia Kereluk, Rodgers's wife and business manager. Rodgers, interviewed from White Rock, says he and Cropper hope do a CD tribute to Stax Records, with recording starting as early as May. He'd like to cut it using vintage recording equipment at Royal Studios in Memphis, home to historic soul sessions by Al Green, Chuck Berry and Solomon Burke. "Those [soul singers] will never know what they did to me. When I was 13 and 14, I heard Respect and A Change is Gonna Come and You Don't Miss Your Water," Rodgers said. He plans to assemble a core band with Cropper and invite "as many as possible" of the people affiliated with Stax to perform as guest artists. "Right now it's wide open," Rodgers said. "We're just collecting the songs together." Rodgers is one of rock's more successful artists. Bands he has been involved with are estimated to have sold more than 125 million albums globally. Rodgers's distinctively raspy vocals are a staple of classic rock radio, heard on such tracks as All Right Now by Free and Bad Company's Feel Like Makin' Love and Can't Get Enough. The singer promises to reprise all the big hits when he plays Victoria, backed by a band of White Rock musicians. "I like to see a happy crowd and I think people like to hear the things you're well known for," Rodgers said. He recorded and toured with Queen from 2004 to 2009, with the act billing itself as Queen and Paul Rodgers. While the collaboration led to a 2008 studio album, The Cosmos Rocks, Rodgers said he won't perform Queen songs this weekend because "I don't really feel their material represents myself." Last year Rodgers, who has lived in Canada for 15 years, became a Canadian citizen (he even sang O Canada at the swearing-in ceremony). He married Kereluk, a former Miss Canada, in 2007. The couple divide their time between White Rock and a Christmas-tree farm overlooking a lake in the Okanagan Valley. "We don't really sell [the trees] to be honest," Rodgers said. "But it creates a wonderful woods to walk through." He likes White Rock. And it seems he enjoys a degree of anonymity in his adopted hometown. One day, Rodgers was walking along the beach when he heard a man playing guitar. The musician sang a Bad Company song, either Feel Like Makin' Love or Shooting Star (Rodgers cannot remember which). "I said, 'Thanks, man,' " said Rodgers, laughing. The vocalist says he long ago abandoned the hedonistic rock-star lifestyle he led in the 1970s. Rodgers exercises regularly (cycling, walking, lifting weights). He takes care of his throat by sipping herbal tea and, if necessary, gargling with salt water. He still loves to sing. "It's always very exciting for me to perform," Rodgers said. "I think that's why I do it. As soon as it stops being exciting, that's when I'll hang up my rock 'n' roll shoes." I'm 64, proof it's not that hard for the average person to be in shape into old age. And the better shape you're in to begin with the slower the decline from a higher starting place. And it's all a lucky side effect from wanting to feel good every day It's all because long ago I found out the difficulty with exercising is psychological, not physical. It's natural to resist exercise at the end of the work day when you think you're tired. Our bodies aren't adapted to an environment where 'sedentary exhaustion' is a factor. But there are some psychological tricks you can use to overcome this. Click here now http://eil.com/shop/offers.asp & start shopping to save up to 75% off on over 45,000 rare & scarce vinyl records, 7", 12" singles, LPs, CDs, CD singles, limited editions, picture discs, promos, worldwide imports & pieces of rare music memorabilia from the UK, USA, Europe, Japan, Australia, South America & Rest of The World valued at over £1 million! THE AMERICAN IDOL SHOW TONIGHT !!!!!!!!!!!!!!!!!!!!!!!! YOUR GOING TO HOLLYWOOD - YES ! What a nice bunch of guys they were too. Mick Ralphs, a founder of two iconic rock bands and still touring with both, takes time out to explore his blues, soul and funk roots. The Bad Company and Mott The Hoople guitarist is joined by some of the best-known names on the current blues scene to play blues and R'n'B favourites - from B.B. King and Otis Rush to Robert Johnson and Sonny Boy Williamson - alongside fresh interpretations of some of Mick's own classic songs. 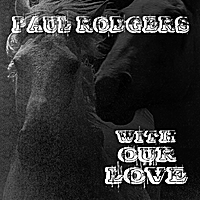 Paul Rodgers' new charity single, "With Our Love," recently reached #2 on music retailer CD Baby's Top Songs chart. -- a pair of organization that support the humane treatment retired racehorses. Meanwhile, the celebrated Bad Company and Free singer has scheduled his first three concerts of the new year. Please take the time to leave a review at CD BABY. !!!!!!!!!!!!! Many Thanks and Enjoy !!!!!!!!! Paul Rodgers has released a new studio recording that is available exclusively on-line via CD Baby, and all other digital retailers. The song "With Our Love" has been shared with fans and the public on his 62nd birthday, with one hundred percent of the proceeds earmarked for the charities The Racehorse Sanctuary & Rocking Horse Children's Charity and Seraphim 12 Foundation. The composition was co-written and performed by Perry Margouleff, whose friendship with Rodgers dates back to over twenty years ago when they met in the U.K. while Margouleff was performing with The Pretty Things. They have collaborated over the years. All of these charities are organizations Rodgers has offered significant support to in the past, in fact he is a Patron of one while Perry Margouleff is a Senior Board Member of the other. Rodgers shared, "Horses are such a powerful part of human development and have been since the early ages. We humans owe them so much. My wife Cynthia and I have visited both sanctuaries and can't imagine any of these healthy vibrant beings being sent off to die. Especially Seraphim 12's 'Daisy,' who was to be slaughtered for human consumption at four months of age! Or ex-racehorse 'Mr. Streaky,' who due to human error developed anxiety and fear issues which now after eight years he is finally starting to overcome, and in doing so is helping the autistic and inner city kids who visit the sanctuary. Blues great Willie Dixon believed that 'Once we know better we can do better'...so now that we know better, let's do better." Chimes of Freedom features a stellar and diverse group of artists across the generational and musical spectrum. legend Pete Seeger, who, at 92, records Dylan's poignant "Forever Young," with a children's chorus. except for the title song, Dylan's original 1964 recording of "Chimes of Freedom."